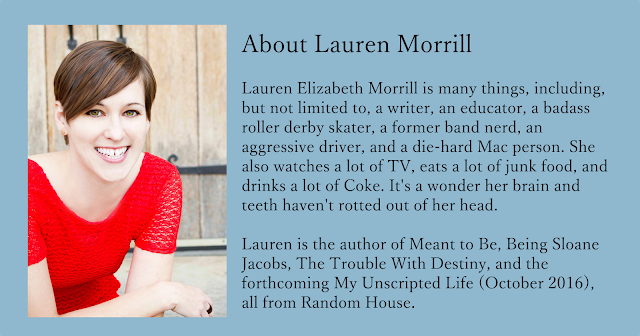 I've read all of Lauren Morrill's books. You can find Meant to Be and Being Sloan Jacobs here and here on the blog. I'm a fan, so I am thrilled to be part of this blog tour. And, you know what I am even more thrilled about? It's that The Trouble with Destiny is my new favorite Lauren Morrill book. Liza Sanders, drum major for the Holland High School Style Marchers, boards the cruse ship Destiny with laser-focus: win the high school talent competition and save the band. With budget cuts looming the band desperately needs the $25,000 prize. Liza knew winning wouldn't be easy, but she didn't expect quite so many things to go wrong. The Trouble with Destiny is comedy in the purest form. 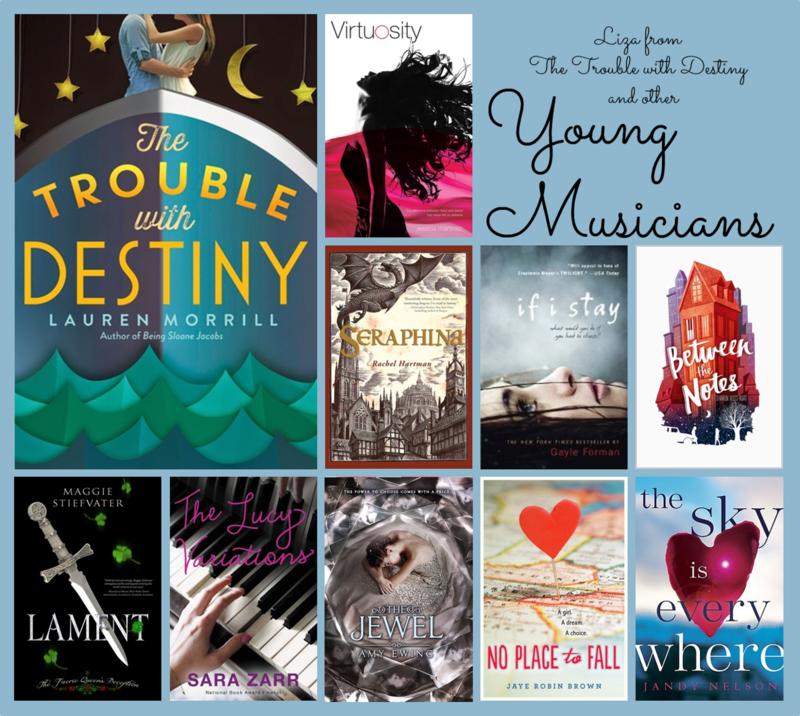 To celebrate the release of The Trouble with Destiny on December 8th, we are celebrating literary Young Musicians here at Intellectual Recreation. Here are some of our favorites. Liza is the youngest drum major in Holland High history. She is a good musician and a great organizer, but all the pressure she feels over possibly losing the band makes her a little nuts. Just a little. Honestly, Liza's mania is what makes this book fun and funny. I hate to laugh at someone else's problems, but that's comedy for you. Carmen Bianchi is a violin virtuoso. After her mother's career with the New York Metropolitan Opera was cut short she poured all her energy in Carmen's musical career. Now on the cusp of the greatest competition of her life, Carmen starts falling for her competitor. Seraphina is the music mistress in the castle at Goredd. Incredibly talented, she is also hiding a very dangerous secret. One that just might not be able to remain a secret as the tenuous peace between the humans and the dragons is threatened. Seraphina is a 5-star fantasy. Mia is a cellist with big plans. She has a loving family, a devoted best friend, and a great boyfriend. Then Mia's family is involved in a serious automobile accident, leaving Mia in a coma. From her coma Mia must decide whether to live or die as she slowly discovers want has happened to her and her family. Poignant and heartbreaking, If I Stay has become a YA classic. Ivy is a talented pianist with terrible stage fright. She prefers the solitude of her piano room where she can pour all of her emotions into her playing. The her family's home is foreclosed and the Emerson's are forced to move to an apartment in an undesirable neighborhood. With everything crashing down, Ivy needs her music more than ever. Deirdre Monaghan is an exceptionally talented harpist. At a competition Deirdre meets Luke Dillon, a flute player, who has a lot of secrets. With Luke's introduction, Deirdre's comfortable life begins to meld with the creepy world of the fey. This was the first book by Maggie Stiefvater that I ever read, and it made me a fan for life. Lucy Beck-Moreau had a promising future as a concert pianist. Until she quit. When her brother's new piano teacher encourages her to play again, Lucy starts to reconsider who she is. With a great San Francisco setting, The Lucy Variations confronts where you go when you think you have lost who you are. Violet is a talented cellist. She's also a surrogate raised to bear a child for the infertile elite in an unpleasant future world. The world of The Jewel is dark and fascinating. It's all about wealth and power and appearances and the ugliness underneath. Violet is a strong character, but she is trapped. Amber Vaughn lives in a small town in the hills of North Carolina. Times are tough, but she has a voice that soars if only she could figure out a way to let it fly. I couldn't help but feel for Amber and wish she didn't have it quite so hard. Brown's writing conveys Amber's singing voice so well. Clarinetist Lennie's vibrant, gorgeous, and full-of-life sister Bailey is dead. And Lennie is lost. Left by their wanderlusting mother to be raised by their grandmother and their Uncle Big, the two needed one another even more than most sisters do. This poignant tale features fabulous writing, measurable growth, and fully formed characters. One winner (US or Canada Only) will receive a Lauren Morrill prize pack of signed copies of all Lauren's books and swag! 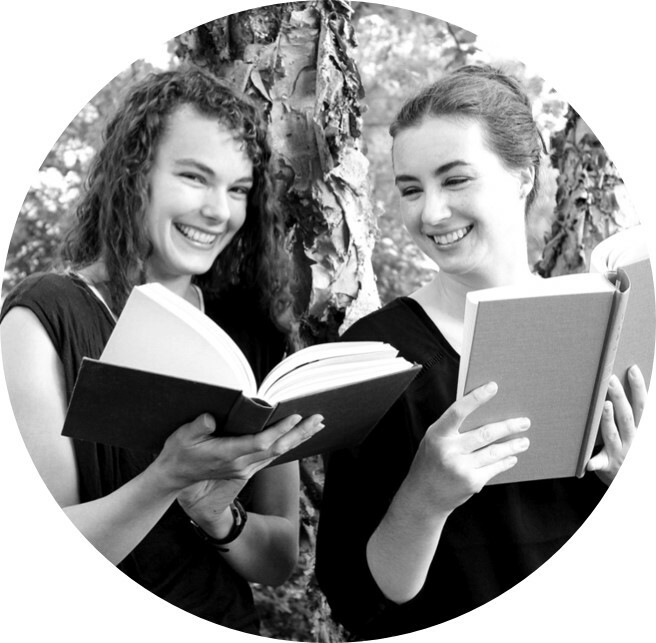 I've enjoyed a few of the YA music books in your round-up so I appreciate ideas for more to-reads. Thanks for the ideas and giveaway!